Ozone Kites, Kiteboarding Toronto Ontario Canada. Kitesurfing Kites, Hydrofoiling kites, Lessons and Repairs in Toronto. The Uno V2 is a simple, affordable and robust de-power trainer kite. The Catalyst V2 takes it to the next level - it is based on the original design and has been reshaped and refined to enhance performance and accessibility for entry level to intermediate riders. Innovation is often inspired by being in the right place at the right time, with all the right connections coming together allowing the genesis of a new vision or era. All-new plan form and profile for increased performance and a smoother ride. Born from the Chrono Legacy and packed full of the latest technology, this all-new design takes it to the next level. Taking a completely new approach to high aspect foil kite design has once again raised the standard of performance and feeling. We have bars suited for every need. Kids to Pro Riders. 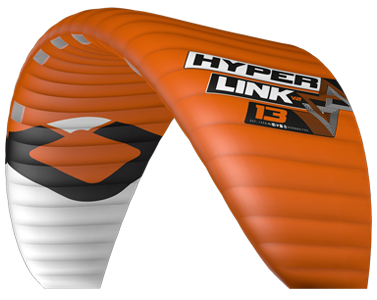 There are two main kinds of kiteboarding kites - foil kites and leading edge inflatable (LEI) kites. The LEI kites are, of course, inflatable which gives them a rigid structure and also keeps them afloat. LEI kites are much easier to re-launch on the water as well. For these reasons, LEI kites are typically used for kiteboarding on the water. Foil kites are more similar to a paraglider parachute that have individual cells that the wind fills up and creates the wind structure and lift. They also have openings (Sometimes covered by Mesh) in strategic places which creates positive pressure, lift, and also keeps the kite very structured. Foil kites such as Ozone Kites are smaller and lighter than LEI kites which allows the rider to use a smaller foil kite than LEI kite. Ozone Foil kites are typically used for land and snow based kiteboarding activities like landkiting and snowkiting. Lately, we use Closed Cell foil kites on the water snow and land, allowing for 1 kite to be used in every condition. At PBKiteboarding, we can help search from our kite selection to ensure we only offer the best possible products to our customers. If you have any questions or concerns, please contact us and we’d be glad to assist you. Ozone Kites Kitesurfing Kiteboarding Kites, Kiteboards, Bars and Accessories. North America Canada. Ozone is one of the world's leading manufacturers of kites and paragliders, created around a small but dedicated team of passionate riders and pilots. PBK Ozone Kites Ontario has a great selection of Ozone Kiteboarding Kites including the Ozone Edge, Ozone Catalyst and Ozone C4. 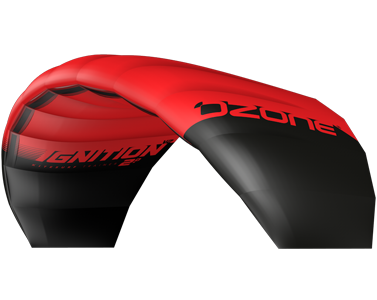 Ozone Kites come complete with the Contact Control bar front line safety system, which is the safest type of 4 line kite you can get. The Oozne Kites are made of Tejjin Fabric. The best you can get. At PBK we have Ozone kites for water and snow. At times we have Ozone kites on sale depending on the time of year or when new models comes out. We have an amazing selection of Ozone kites for sale.